We solemnly declare that this year we received the status of Solution Provider Premier Partner, but this is not all! 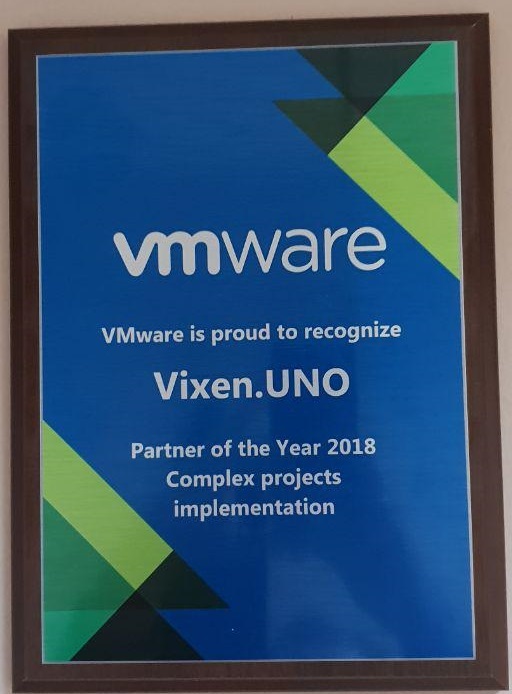 In addition to status, our company was awarded the title Partner of the Year 2018 Complex projects implementation. Being a Partner of the Year is a great honor for us, since the evaluation for the presentation of awards was held for the quality of the services provided, productive participation in the sales channel and special achievements for 2018. But, we will not stop on this – this is only the beginning! We already have a very large work plan for 2019 to achieve even greater statuses, and of course we will be happy to inform you, our dear partners, friends and competitors!